Fun Time Nursey Rhymes An exciting, fun-filled collection of the classic nursery rhymes you remember from your own childhood, enhanced with upbeat music and special effects. 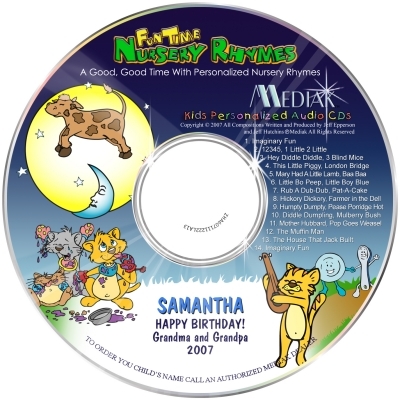 These happy, comical renditions feature the child’s name 36 times, and will have them, and yourself, singing, laughing, and dancing along. 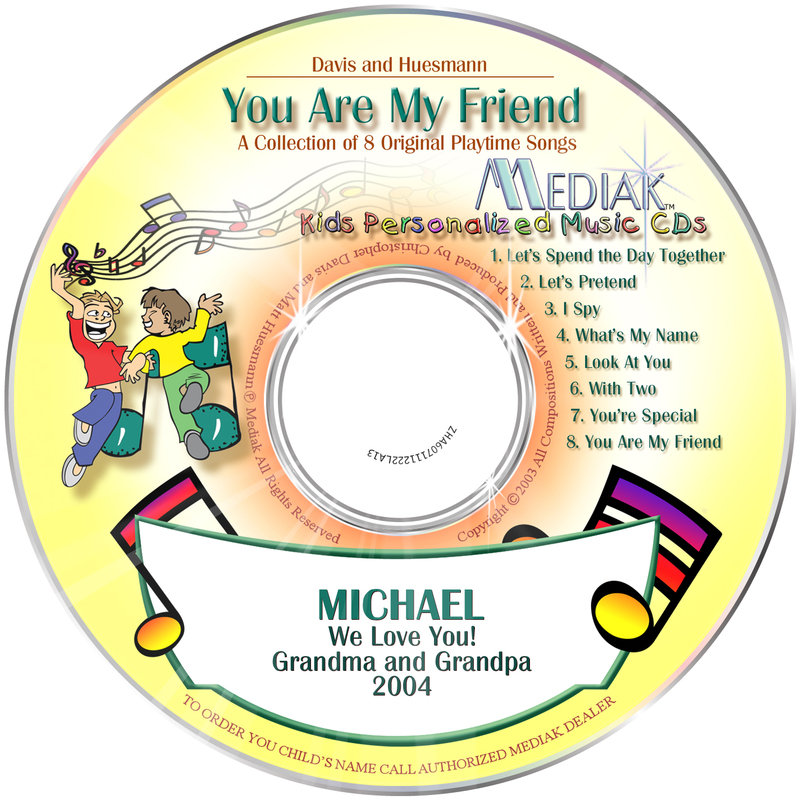 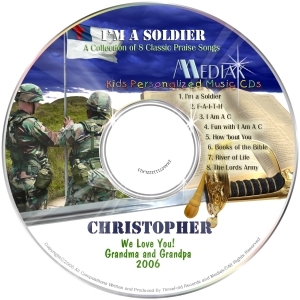 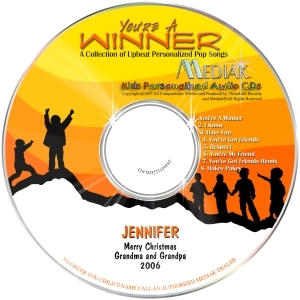 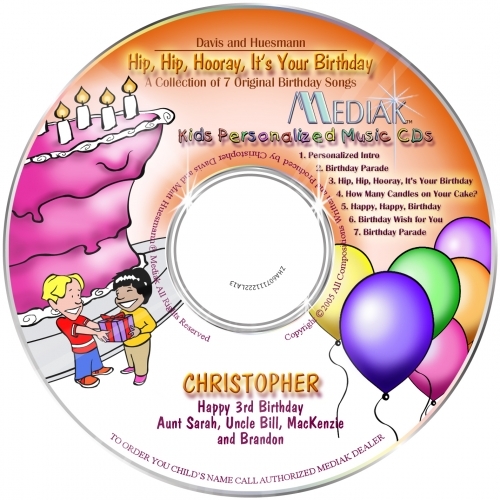 This personalized CD is the first in a series of carefully selected nursery rhymes produced for children up to seven years of age.